Our overarching vision is to facilitate the realization of potential by establishing an international network of as many as 10,000 locally initiated Empowerment Resource Centers ERC's) and Empowerment Training Mentoring Systems (ETMS) by 2012. 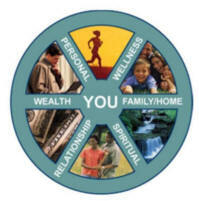 Each ERC and ETMS will be staffed by certified Successful Living Coaches and Empower Mentors™ and supported through an online University for Successful Living and a network of training centers such as the training campus described at www.UltimateDestinyUniversity.com). We have already identified over 500,000 potential local co-sponsor agencies that already have facilities, training equipment, targeted constituencies and access to funding for the wealth of resources for self-help, empowerment and capacity building we will provide to them along with the training-of-training for their existing personnel to be enabled to effectively deliver our empowerment training programs and systems. We plan to generate a quantum leap in the realization of our ultimate vision by issuing a Request for Proposals in the first quarter of 2008 through which we (and our strategic alliance partners and resource providers) will donate 10,000 of our ETMS (Empowerment Training Mentoring Systems) worth over 100 million dollars over the next 10 years to local non-profit organizations, initially in the US. We already have most of the resource providers in place, most of the training programs and products developed, the RFP documents and public relations strategy drafted and enough world-class resource providers and strategic alliance partners on board to ensure that the project will receive massive media coverage and enjoy major success. What is the ultimate potential impact of such an initiative? What positive impact will be realized if those who are engaged in the process of helping others help themselves have access to the best, tested and proven principles for successful living such as how to set and achieve goals, how to maintain a positive mental attitude, how to motivate yourself and others, how to manage time, how to generate and manage financial resources, how to learn how to learn, creative thinking and problem solving etc? What will it be worth to Expand the Circle of Success™ in America by providing greater access to state-of-the-art development training resources for 5,000 United Way agencies, 3,500 Public Housing Authorities, 2,500 Community Development Corporations, Youth Service agencies, churches, 450 Centers for Independent Living, Welfare To Work administrators, educators, etc? Millions of people can be helped to: develop a larger vision of themselves, learn how to set and achieve goals, increase their performance levels, manifest stewardship over increased financial resources, fulfill their highest possible destinies and live happier more productive lives. Thousands of new businesses will be created, millions of new jobs will be created, families and neighborhoods and communities will be empowered and strengthened, succeeding generations will realize more of their God-Given potential and America will be better enabled to fulfill its highest possible destiny in the world as an example of a fully actualizing society. How will such an ambitious vision be implemented? The vision is already manifesting through a multi-sector collaborative partnership that includes several non-profit organizations such as the University for Successful Living, the Institute for Cooperative Community Development, the Center for Spiritual, Personal And Community Enlightenment, businesses such as Success Motivation Institute, Les Brown Enterprises, Strategic Marketing Group, Brian Tracy International, and Strategic Alliances with some of the top "Success Coaches" in the world such as Paul J. Meyer, Les Brown, Brian Tracy, Mark Victor Hansen, Jim Rohn, Bonnie St. John. Successful prototype local Centers for Successful Living have already been established in several communities including the Muncie, Indiana Housing Authority and the Center for Successful Living in Kankakee, Illinois and new, breakthrough products and programs that help people learn how to learn have been developed, tested and readied for replication. What will it cost to accomplish this ultimate vision? Ultimately, it will not only not cost anything, the project will generate new income streams for non-profit organizations as well as generate new jobs and businesses owned and operated by former members of various "disadvantaged" populations. Through Strategic Alliances, several avenues for generating passive residual income are available. For example, a non-profit organization may become an Empowerment Resource Center which enables it to share some of the world’s best programs on success motivation, leadership, goals, time management, and management with its members at discount prices while earning passive residual income of up to 40%. How can you participate in bringing forth this ultimate vision? For more information, contact Charles Betterton at 760-212-9931 or charlesbetterton@gmail.com . Successful In Your Own Business? Freedom. . . The Power Of Choice. Make Wise Decisions.